The Jersey Shore provides a perfect backdrop to sip Rose. The inspiration for 4JGs Monmouth Blush, came about when we were vacationing in Paris with our family….asking for the house wine at lunch, and we were served rose! Monmouth Blush carries a portrait of Molly Pitcher, a woman said to have fought in the American Battle of Monmouth. The stories of the legendary Molly Pitcher tales grew in the telling, leading many historians to regard Molly Pitcher as folklore rather than history. The name itself may have originated as a nickname given to women who carried water to men on the battlefield during War. Rosé happens when the skins of red grapes touch wine for only a short time. Where some red wines ferment for weeks at a time on red grape skins, rosé wines are stained red for just a few hours. Rose is unpretentious, fun, and carefree just like summer making it a perfect time to enjoy. Monmouth Blush has hints of raspberry; fruity, dry and lighthearted. Monmouth Blush like most dry rose wines can be recommended to pour with everything from Asian cuisine to charcuterie, veal and chicken. Great News! Two of 4JG's Wines have been awarded medals at the prestigious San Fancisco Chronicle Wine Competition. 4JG's Chambourcin Riserva 2014 received a gold medal; 4JG's Cabernet Franc 2014 received a bronze! "After receiving 7,000 entries from 28 states across the country, the San Francisco Chronicle Wine Competition, hailed as the largest competition of American wines in the world, has once again successfully narrowed thousands of wines down to an exclusive few." Last year, 4JG's Chardonnay won a medal....we are standing in good company! Thank you to all of our supporters and friends. This weekend at 2pm Craig will be giving a short tour and talk about 4JGs wine. We are getting ready to harvest. Lots of activity on the vineyard...come take a look. 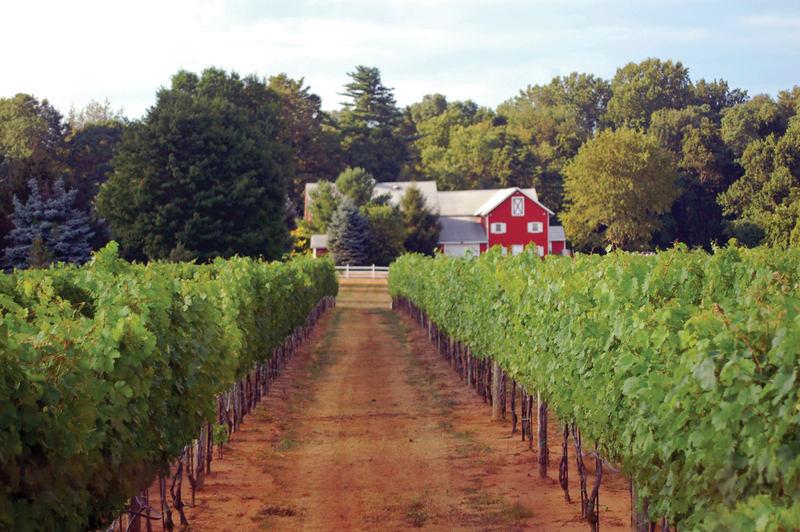 The weather is hot and the days are long...bring a picnic to the vineyard and enjoy one of the prettiest places in Colts Neck. The vines are growing and just loving the heat. All the 2015 whites are in the bottles! Busy day here at the vineyard! We will be celebrating our special moms, sisters, BFF and Grannies on May 7 & 8. May 7 will feature a selection of Monmouth County vendors for your shopping enjoyment! Spring is on its way...budbreak! In late April and early May tiny buds on the vine start to swell and green leaves start to appear. Appearance of the first green leaves through the bud scales is called budbreak. The first shoots start to grow powered by the energy derived from carbohydrates that were stored in permanent vine structures (roots, trunks and cordons) during dormancy. Budbreak signifies the start of a new vintage and all the hopes and hard worth that come with it! 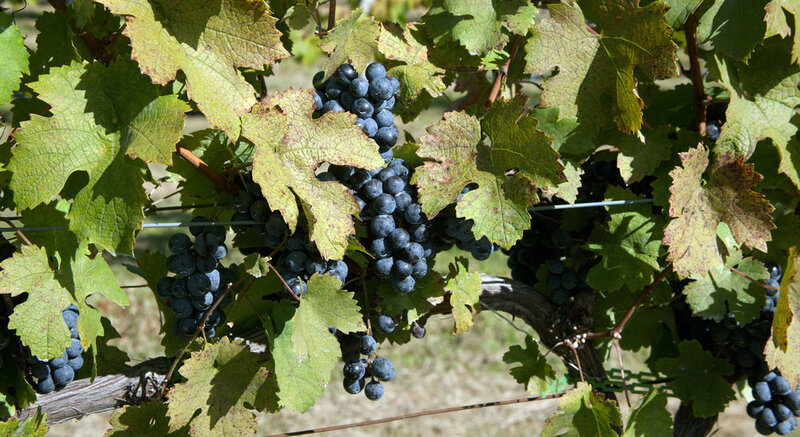 Grapes produce more and better quality fruit if the number of vines that produce fruit are removed to limit the amount of fruiting wood. So here at 4JG's we are busy pruning. Our Celebration Chardonnay 2014 has won a medal at the San Francisco Chronicle Wine Competion. We are excited and proud. Join us for a ONE DAY only event this weekend on Saturday, January 30 from 12 to 5pm as we release our medal winner. We will also be pouring all our other wonderful wines and serving mini grilled cheese sandwiches. Happy Holiday's from 4JG's Vineyard! The grapes are all picked and crushed and we are happy just hanging out in the tasting room! We are taking a little break while all the ghosts and goblins enjoy Halloween. Plan on joining us November 7 and 8 for Soup and Sip! Always a tasty and fun event. We are well into harvest. Craig and the crew are working hard to pick all the grapes ahead of the storm. Thanks to all of you who visited the vineyard this past weekend. Here are the Sangria recipes you sampled. Blushing Sangria - 1 Bottle of 4JG’s Monmouth Blush, 1/4 cup brandy, 1/4 cup triple sec, 1 cup orange juice, 1/4 cup simple syrup, or more to taste, orange slices, lemon slices, lime slices, apple slices and blackberries. Combine all the ingredients in a large glass pitcher and refrigerate at least eight hours but preferably overnight. If you don’t serve immediately, strain the fruit and add fresh fruit when serving! We've been pruning and getting ready for spring! Big news here at 4JG's. Our delicious Patriot red table wine medaled at the 2015 San Francisco Chronicle Show. We knew it was special! We are working our way through the winter tasks all around the vineyard. The tasting room reopened for the first of two Valentine Day weekends. If you missed it we are open on February 14 and 15 from 12 to 5pm for wine and chocolate pairings. Patriot is on the tasting menu.